The technical equipment of waste incineration facilities and their operation are very similar to conventional fossil fuelled power plants. Comprehensive information about effective fire protection measures exist in sufficient number in the existing manifold regulations and rules. However current events show that in waste incineration facilities naturally a special fire hazard still exists in the waste storage pit in spite of fire protection concepts developed intensively further in the past. The relatively open termination point between the delivery of waste and the intermediate storage of this fuel in the waste pit poses diverse hazards. On the one hand the delivery of ignition sources or even already incinerated material with the waste delivered cannot be excluded with certainty, and on the other hand the spreading of the fire and its effects in the waste storage bunker cannot be predetermined because of the ever present air supply and the inhomogeneous composition of the fuel. 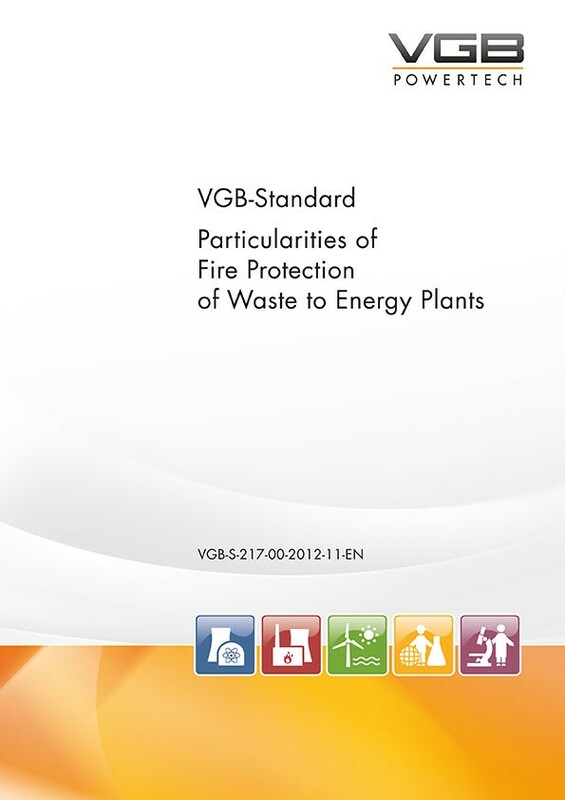 Therefore in this altered edition of the VGB-Standard the focus is primarily on the conditions of delivery and storage of waste. Experiences about the course and the fighting fires in the waste storage pit as well as “Best Practice” of existing fire protection plans were taken into consideration and resulted in a compilation of identified risks and corresponding recommendations. The same method was applied for the areas of flue gas cleaning of waste incineration facilities, which in equipment and operating conditions are not comparable to other power plants.